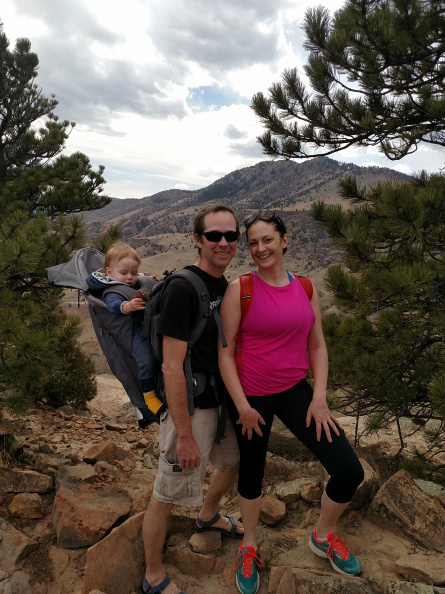 All of us hiking at Dinosaur Ridge Trail. Katie took this picture. It's a very neat hike along the ridge line. You can see various roads and Colorado highway C-470 from most points, so it's not wilderness, but it's still a very cool hike not far from Denver.